Chabad Lubavitch is committed to providing support to all members of our community. Whether you are looking for support in a time of crisis or a friend with whom to schmooze, we are here for you and your loved ones. 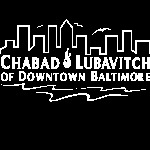 Chabad provides assistance to patients and their families who come to one of Downtown Baltimore's area hospitals for treatment. Jewish chaplaincy services are provided, providing comfort and guidance during difficult times. In addition, volunteers can assist with arranging child care, transportation, Kosher meals and Shabbat food during a patient's stay in the hospital. Chabad volunteers visit Jewish patients, whether affiliated or not, at local hospitals, before Shabbat, on holidays and upon request, to cheer them up, recite a prayer, get their Hebrew name for the "Mi-Sheberach" to be recited in the synagogue, and offer any other assistance that might be needed. To request a hospital visit from one of our Rabbis for your loved one, please call us at 410-605-0505 or email by clicking here. Chabad provides assistance and counsel to incarcerated Jews and their families. We regularly visit Jewish inmates in Baltimore's prisons to offer our support, counsel, assist Jewish inmates with their Jewish needs, and to hold prayer services or Torah discussion group. Every person should have the right to practice his or her religion even while in a correctional institution. "A Jew who sinned is a Jew nonetheless (Talmud, Tractate Eruvin, 19a)." At Chabad we help ascertain that an inmate’s Jewish needs are properly met. If you know of someone who would benefit from a prison visit, please call us at 410-605-0505 or email by clicking here. Chabad volunteers visit and comfort lonely seniors, shut-ins, or anyone in an assisted living home or nursing facility that would like a visit. If you know someone who would appreciate a visit, please call us at 410-605-0505 or email by clicking here. Chabad offers private counseling in all matters of Jewish life. At a difficult time, a chat with the Rabbi or Rebbetzin may well help a person see things in a clearer perspective. When necessary, we can help a person in need to find suitable professional help. Please contact us at 414-961-6100 to set up an appointment with the Rabbi or Rebbetzin. All matters are confidential. 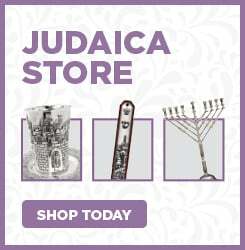 *Chabad Lubavitch will make every effort to offer you guidance found in Torah sources. However, certain situations might require the referral to a psychiatric professional. At Chabad we believe that no Jew should be left behind.